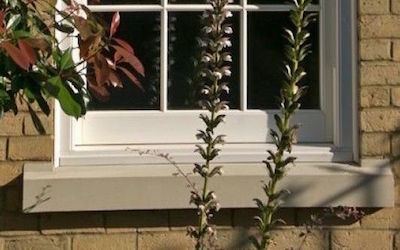 As Architectural Cast Stone window cills suppliers and producers we pride ourselves on a vast knowledge of what is required when it comes to choosing a window cill that will suit the particular development you may be undertaking. We can supply large volumes as well as small bespoke 1 off designs that you may have trouble sourcing from other companies. We produce a standard range of cills and headers from 600mm long up to 2400mm long and these can be supplied normally within a week to 10 days on site and ready for you to install. Using Cast Stone on a Home or Commercial building product can improve the look and style of the finished project as well as possibly improving the value. ​We supply the entire UK from either our Hereford or Matlock depot with one of the palletways networks .